The European Commission is suing the eastern bloc countries for failing to fulfill their legal obligations in accepting a share of asylum seekers. The defendants claim that the EU is interfering with their sovereignty. 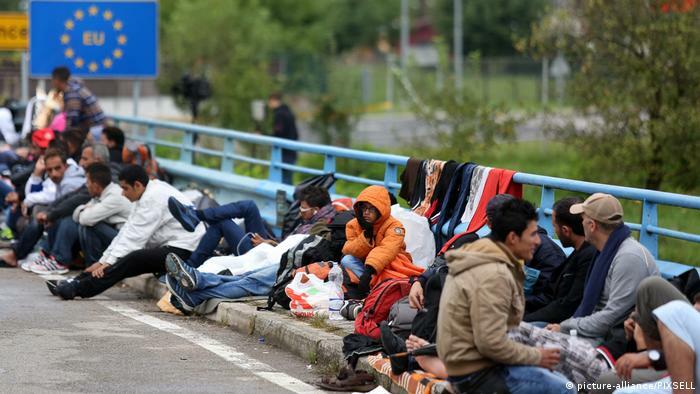 The European Commission took the Czech Republic, Hungary and Poland to the European Court of Justice (ECJ) Thursday over their failure to accept their required quotas for refugees. 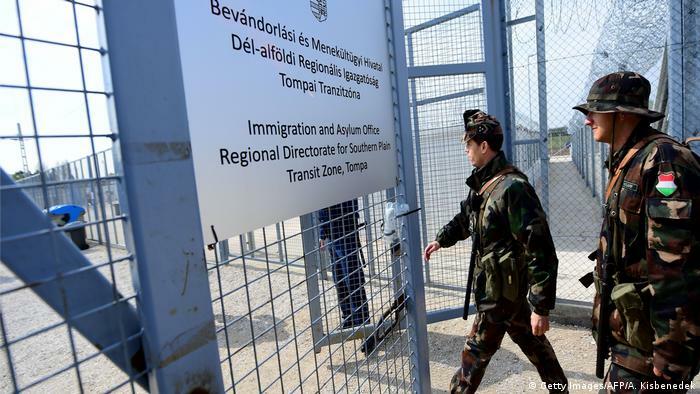 The contentious scheme, which was adopted at the height of the refugee crisis in 2015, was focused on “burden-sharing,” meaning that 160,000 refugees should be relocated across most of the bloc’s 28 member-states to ease the burden on Greece and Italy. It means that the three eastern nations would have to settle around 8,000 migrants between them as part of the quota. However, so far Hungary and Poland have taken in none at all, while the Czech Republic has accepted just 12. By pursuing these countries at the ECJ, Brussels is showing its determination to see this scheme carried out. It is also fueling a new clash between the EU body and important eastern bloc states. The three countries, however, claim that Brussels is attempting to interfere with their national sovereignty. They could face heavy fines if they do not comply with any court ruling on their duty to accept refugees. The refugee relocation scheme has been mostly unsuccessful in the two-and-a-half years since it was adopted. 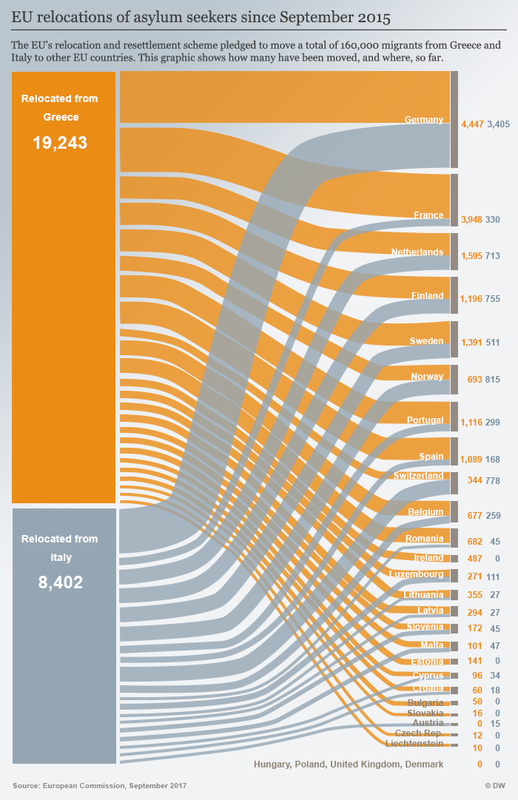 As of last week, only around 32,000 refugees had been relocated as part of the program. The continued disagreement over the refugee quota scheme has hampered attempts to reform the EU’s asylum policy, with EU leaders set to address the issue at a summit in Brussels on December 14-15. Following the European Commission’s declaration Thursday, Poland’s Deputy Foreign Minister Konrad Szymanski said his government was ready to defend its decision to refuse migrants before the ECJ. Poland’s ruling populist Law and Justice (PiS) party has long insisted that it will not admit migrants from Africa and the Middle East, citing security concerns following a spate deadly Islamist attacks in western Europe, as well as problems associated with determining the identity of migrants. “No one will lift the duty of providing public safety from the Polish government,” Szymanski told state news agency PAP. Is Spain facing a new wave of xenophobia over migrants? Greece Hit By Sudden Surge In Refugees: Did Erdogan Break EU-Turkey Immigration Deal?